There are many situations where it would be more convenient to locate gas cylinders and distribution systems near the process, but away from a wall or other secure fixture. The “Gas Station” solves this problem. 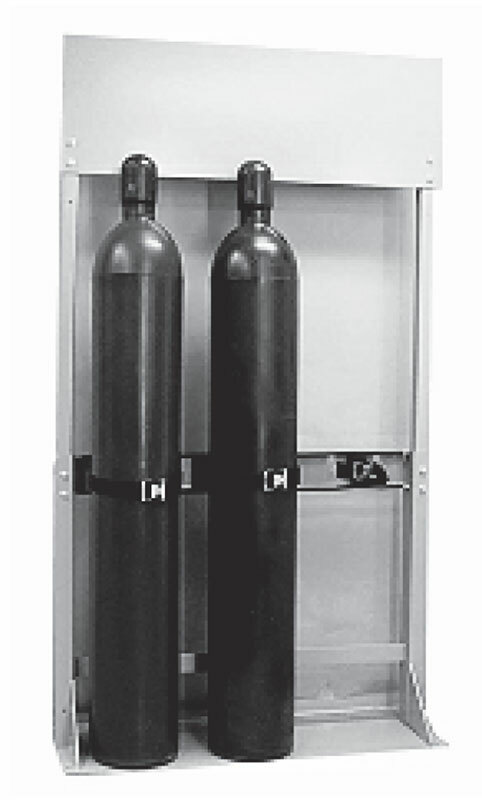 It can be located in any open area and support two or three cylinders and the associated gas distribution equipment. The stand is secured to the floor with bolts through the four pre-drilled holes provided in the base. Cylinders sit on the base plate and are securely held to the steel frame with sturdy nylon belts. 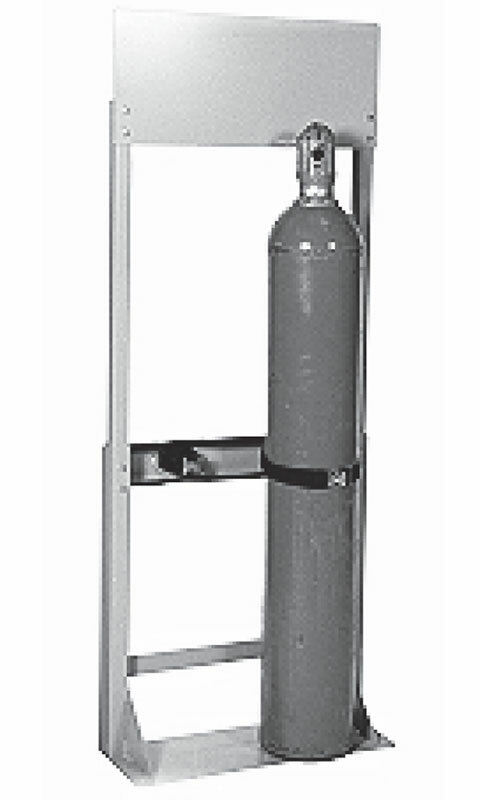 A changeover manifold or other distribution equipment can be conveniently mounted to the plate above the cylinders. Unit is painted gray. The unit is shipped unassembled via UPS. Assembly is easily accomplished in 10-15 minutes.